Dr. Shalia Shah assumed charge as the Consul General of India in Medan on 28 March, 2016. Dr. Shalia Shah joined the Indian Foreign Service in 2012. She is M.B.B.S graduate from JIPMER, Puducherry. 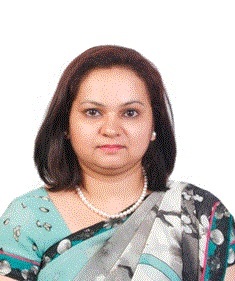 Prior to joining the Foreign Service, she worked as a Medical Intern in G.B.Pant Hospital, Port Blair in 2011. At the Ministry of External Affairs at New Delhi, she worked in the Southern Division. Before joining as Consul General of India in Medan, she was Third Secretary at Embassy of India at Jakarta. Dr. Shalia is the First woman to qualify in civil services from Andaman and Nicobar Islands and also the First Officer from the Andaman and Nicobar Islands who joined Indian Foreign Service. She is married to Mr. Prohit Mohan Lal, and they have one son.